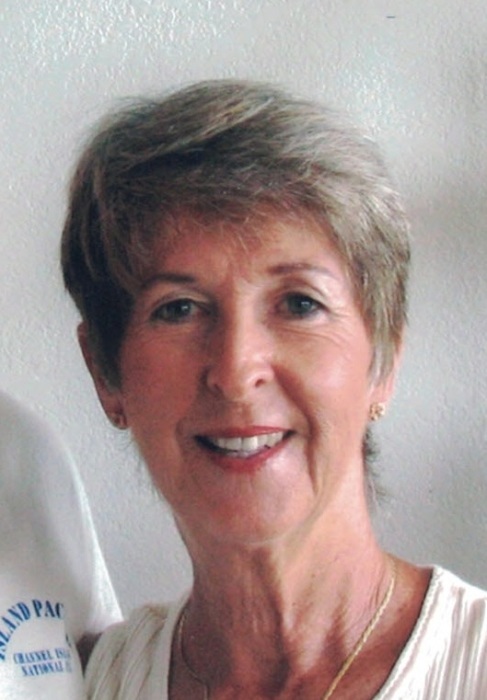 On October 14, 2018, Roslyn Hartnacke Brodie passed away while surrounded by loved ones. She was born May 11, 1943 in Grand Rapids, Michigan. In 1969 Roslyn earned a master’s degree in education from Michigan State University. Her parents gave her a vacation to Waikiki as a graduation present. Lynn fell in love with the islands and moved to Oahu. In 1971 she was hired by Farrington High School as a Physical Education instructor and swim coach. There she created the first and only Gymnastics program at Farrington High School which earned her a “Teacher of the Year” award. Over the years she earned a reputation as a great coach and mentor to her students. One of her greatest joys was being part of the lives of her beloved students as they became successful members of the community. In 1976 Lynn married the love of her life, Sandy Brodie. In 1980, they adopted their daughter Kimmee. Sandy’s two sons from a previous marriage, Alex and Peter joined Lynn, Sandy and Kimmie on numerous adventures to Alaska and Kauai. In 2001 Lynn retired from the Hawaii Unified School District and she and Sandy moved to Princeville, Kauai. There they built a beautiful house that became the site of many memorable visits by friends and family. She became an active member of Kauai’s Northshore community as a docent for Na Aina Kai Gardens, guide for the Wiaoli Mission House, member of the Northshore Dance Club, Hanalei Canoe Club, and local Hula Halau. Roslyn is survived by her husband, Alexander “Sandy” Brodie; daughter, Kimmie Brodie; sons Alexander Brodie and Peter Brodie; daughters -in-law Kristin Brodie and Kellie Brodie; son-in-law Shawn Balsdon; granddaughters, Blair Resare, Karoline, Julia, and Lela Brodie; great grandsons Sam, Liam, and Noah; and numerous other relatives and friends.